Ford plans to double its mobile connectivity engineering team by hiring 400 software developers and hardware engineers. Three-quarters of the new engineers will be part of a Canadian research-and-development center aimed at building out connected vehicle technology that will eventually let vehicles talk to each other -- and the infrastructure around them. Ford is investing about $375 million to establish its new Ottawa Research and Engineering Centre. It is Ford's first Canadian R&D facility focused on connectivity research and advanced technology. The global connected car market will reach $131 billion by 2019, with an annual growth rate of 30% per year, according to Transparency Market Research. Ford currently offers built-in modems in multiple vehicle lines and plans to equip 20 million cars globally with built-in modems in the next five years. V2V communication technology could help vehicles avoid crashes at intersections. "Connectivity is the critical component to the future of mobility," Ford CTO Raj Nair said in a statement. "Whether it's providing information to help reduce congestion in cities, allowing vehicles and infrastructure to communicate to keep us safer on the road or simply knowing all your personal settings when you enter a self-driving vehicle, connectivity is the key." The new Ottawa facility will focus on infotainment systems, in-vehicle modems, gateway modules, driver-assist features and autonomous vehicles. Additional connectivity research facilities will be located in Waterloo and Oakville, Ontario, as well as Cary, N.C. and Sunrise, Fla.
Like other Detroit carmakers, Ford has been investing heavily in wireless connectivity for automobiles, autonomous driving advancements and artificial intelligence. In February, Ford announced it would spend $1 billion during the next five years in Argo AI, a startup founded by former Google and Uber employees. GM has focused its recruiting efforts outside of Silicon Valley and has taken "a talent allocation approach," setting up R&D centers in different locations around North America, according to Michael Ramsey, a research director at Gartner. Getting and retaining talent in Silicon Valley is, and has been, difficult for all companies, Ramsey said. "There is a veritable merry-go-round of talent among key players for autonomous vehicle technologies. The talent pool is small and they can command huge salaries," Ramsey said in an email to Computerworld. "This is part of why Ford invested in Argo. That investment is really just a tool to help Ford attract and recruit talent, not an investment in a particular piece of [intellectual property] that they have." Major automakers have been luring talent from Silicon Valley stalwarts such as Google. According to a Bloomberg report, Google's autonomous car development project has been "a talent sieve." In December, that effort was spun off to become Waymo. 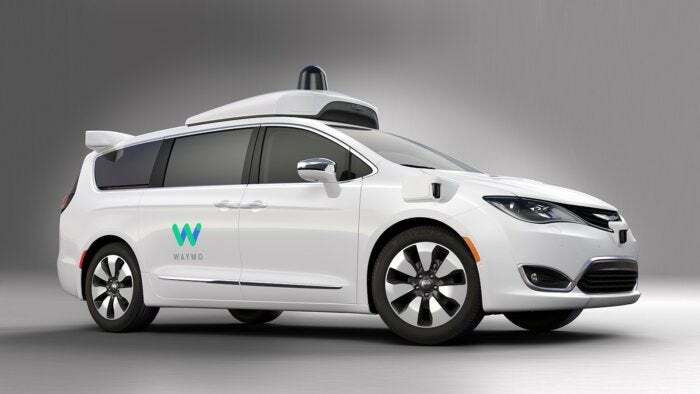 A Chrysler Pacifica Hybrid minivan with Waymo self-driving technology. Many of the world's leading automakers have taken to setting up R&D centers in non- traditional locations in an effort to bolster their software and engineering talent for the development of autonomous vehicles and wireless connectivity. In 2015, for example, Ford chose Palo Alto, Calif. for an automotive R&D facility. General Motors opened its Advanced Technology Silicon Valley Office in Palo Alto to develop an HTML browser for its Cadillac CUE in-vehicle infotainment (IVI) system. GM also set up R&D facilities at the University of Waterloo, in Ontario, and in Austin, Texas, where they "have loads of talent -- at lower prices -- and have good cultures as well," Ramsey said. "Even still, GM has shown it will buy companies to get talent and IP if it is behind," Ramsey added, referring to GM's buyout of Cruise Automation, an autonomous software developer. An Uber autonomous car prototype in using a Ford Focus. Nissan is focused on developing autonomous vehicles at its Silicon Valley facility, while Honda's employees are working on human-machine interface technology, big data, connected vehicles and cybersecurity.